BISMARCK, N.D. – Gov. 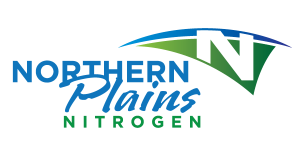 Jack Dalrymple today joined Grand Forks Mayor Michael Brown, the Grand Forks Region Economic Development Corporation, and officials from Northern Plains Nitrogen to announce the company’s plans to build a $1.5 billion nitrogen fertilizer production facility northwest of Grand Forks. The plant will produce nitrogen-based fertilizers by converting natural gas into anhydrous ammonia and urea. Currently, the fertilizer is imported to the area from countries such as Egypt, China and Saudi Arabia. *Article originally published on FarmAndRanchGuide.com, May 09, 2013. Click here to view full article. FERTILIZER INDEPENDENCE FOR NORTH DAKOTA?